(BPT) - In a move to clamp down on its black money market, India is banning the circulation of its Rs 500 and Rs 1,000 notes by December 30 this year. The primary reason for this historical move is to eradicate India's black market economy which makes up twenty percent of its total GDP. This figure is bigger than the GDP of countries like Thailand and Argentina. Black money holders will be forced to make one of two choices: route this money through banks and be forced to declare their income, or burn whatever stash of Rs 500 and Rs 1000 notes they have on hand. If these black money holders choose the first option, their means of income will be brought into question, scrutinized, and subjected to tax if it's discovered to be previously undisclosed income. The second option, to burn the Rs 500 and Rs 1000 notes on hand, will allow for black money holders to escape paying taxes but they also lose their money. According to Global Financial Integrity, a Washington-based think-tank, India lost an estimated $344 Billion due to the black money market between 2002 and 2011. Terrorism is a by-product of these fake notes. Prime Minister Narendra Modi says terrorists have been running their operations on fake Rs 500 motes for years. Getting rid of the current Rs 500 will deal a blow to terrorist groups. But while the overall goal of banning Rs 500 and Rs 1000 notes is to end the black money market, the rural economy made up of villagers and farmers would also be affected. India's rural economy thrives on currency transactions because most of the rural population does not know how to bank. And in order for these people to be able to exchange their notes in compliance with the ban, they need to present official forms of identification, which is not common in rural areas. 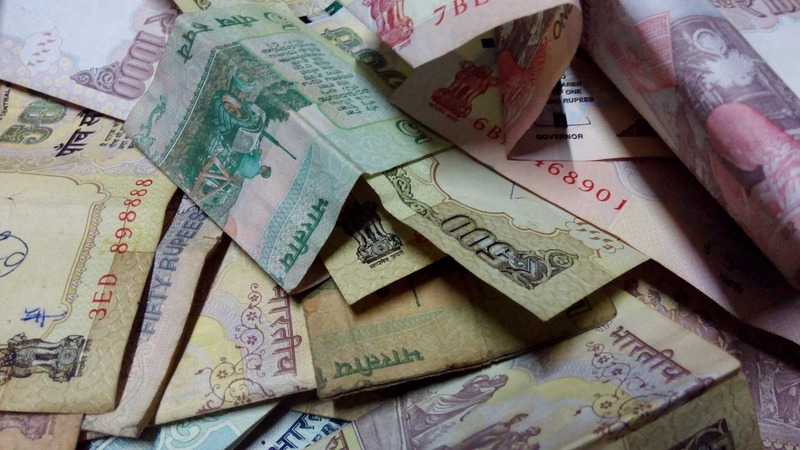 The Rs 500 and Rs 1000 notes are considered high-value notes that only the wealthy, illegally wealthy, and criminals used to have in high quantities. But now that these notes are commonly used in grocery stores and by lower-educated and blue collar workers, the challenge for them with the ban is that they will have to leave their businesses and jobs to stand in line at banks to hand in the banned notes. But even with this large scale effort to ban the Rs 500 and Rs 1000 notes happening, the wealthy whose black money is in foreign currency, gold, and tax havens will not likely be affected because their money is parked in Swiss and Panama banks, offshore accounts, gold, and real estate, among other things. How the government plans on nabbing these offenders has not yet been announced. Do the benefits of the ban outweigh the massive undertaking of having people surrender their banned notes? One of the definite wins is banks will see a surge in deposits, particularly from people and businesses with legally earned money. The new ban will allow for banks to exchange up to Rs 4000 for people, with the remaining balance of the amount exchanged being credited to the account holders. An increase in bank deposits equals an increase in lending. Deflation is another win. Real estate, construction materials, and trade and services will feel the initial pain, but over the long term deflation will benefit the economy. The jewelry industry is predicting a demand for gold will likely rise as people have more faith in gold than currency notes. Housing prices could see a lowering and in turn a revival in demand for housing. But how will the ban on Rs 500 and Rs 1000 impact us in the United States? Essential oil suppliers in India who are based in small villages and in rural areas are potentially among the groups that are affected. They need to make the deadline of December 30 to get their Rs 500 and Rs 1000 notes exchanged at banks so their production does not suffer setbacks. The challenge is for the suppliers who are not near any banks who will lose a day of production making their way to a financial institution. How the ban plays out for the smaller business owners in rural areas will play out over the first half of 2017.